Home › International News› De Mattei: The Death of Paul VI (August 6, 1978). An anniversary. 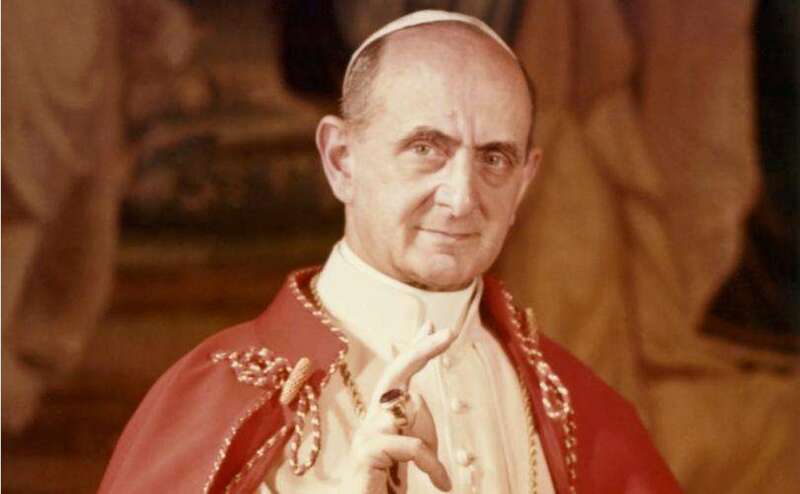 (by Roberto de Mattei on Rorate Caeli) This month of August sees the fortieth anniversary of the death of Giovanni Battista Montini – Pope Paul VI from 1963 to 1978. His pontificate changed the life of the Church in the twentieth century. Giovanni Battista Montini was born in Concesio, in the province of Brescia on September 26th 1897. His family environment was characterized by a strong tendency towards liberalism and a streak of Jansenism, which was expressed above all in the liturgical field. In addition, the pro-modernist liturgical tendencies of the Oratorian Fatther, Giulio Bevilaqua, (his spiritual director whom he made a Cardinal in 1965) left a mark on his early formation. On May 19th1920, the young Montini received Holy Orders at barely 22 years of age, without having pursued his theological studies in the seminary on account of his fragile health. Once in Rome, he was called to the Secretariat of State and appointed ecclesiastical assistant to the ‘Fuci’ (Federazione Cattolici Italiani), an activity which occupied him intensely, but from which he was [eventually] removed because of his ‘innovative’ liturgical ideas and marked tendency towards ‘politicizing’ the young. His father, Giorgio, had been a Deputy of the ‘Partito Populare Italiano’, so politics, along with the liturgy, remained one of his great passions. In December 1937, Monsignor Montini was promoted Substitute of the Secretariat of State, succeeding Monsignor Amleto Tardini. He had no diplomatic experience, apart from a few months spent at the Nunciature in Warsaw, but he worked uninterruptedly at the Secretariat of State until 1954, when Pius XII appointed him Archbishop of Milan, without awarding him a cardinal’s hat. The promotion was in fact a “removal”, the reasons for which still remain unclear. According to Cardinal Siri, he was sent to Milan following the negative judgment of a secret Commission established by Pius XII, who had lost confidence in the Substitute on account of his protecting the President of Young Catholic Action, Mario Rossi, then fighting for a Church open to social-Communism. Cardinal Casaroli, in turn, confided to Andrea Tornielli that relations between the Pope and his collaborator had deteriorated as a result of contacts Montini held with the Italian Political Left – unbeknownst to Pius XII. From the correspondence between Monsignor Montini and Don Giuseppe De Luca, it can be deduced that the Substitute, by way of this Roman priest, maintained relations with Catholic Communists and some sectors of the Italian Communist Party. 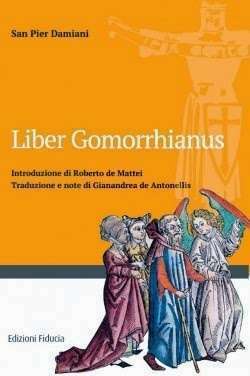 The historian Andrea Riccardi, reveals, on the other hand, that some appointments of bishops in Lithuania had given cause to the rumors of Montini’s disloyalty in the relations between the Holy See and Soviet Russia. These rumors go back to a “secret report” by the French Colonel, Claude Arnould, who was asked to investigate the passing of information reserved for the Secretariat of State and the Communist governments of the East. Arnould had retraced the responsibility of the news-leaks to Monsignor Montini and his entourage, thereby alarming the Vatican. Most certainly the Archbishop of Milan was a progressive as well as an admirer of the nouvelle théologie and Jacques Maritain’s “integral humanism”. After Pope Pacelli’s death, the new Pope, John XXIII, made him a Cardinal, thus allowing him to participate in the subsequent Conclave. In 1962 when the Second Vatican Council opened, the name of the Archbishop of Milan was deemed to be close to journalists linked to the forerunners of progressivism, like Cardinal König, Archbishop of Vienna, Frings of Cologne, Döpfner of Munich, Alfrink of Utrecht and Suenens of Mechelen. Monsignor Helder Camara in his Conciliar Letters, recalls his meeting with Cardinal Suenens, with whom it was agreed that Montini was the best in line to succeed John XXIII. After the death of Pope John XXIII, on June 3rd 1963, strong clashes followed in the ensuing Conclave; yet, despite Cardinal Ottaviani’s strong opposition, on June 21st , Cardinal Montini was elected to the Chair of Peter with the name of Paul VI. On June 22nd, the new Pope directed his first radio-message to “the entire human family” and announced that the preeminent part of his pontificate would be dedicated to the continuation of the Second Vatican Council. The following day, at the Angelus in St. Peter’s Square, he called Cardinal Suenens to stand beside him at the Apostolic Palace window and assigned a dominant role to him in leading the works of the Council. From the very start the Pope supported the Christian Democrat Party’s “opening to the left”, which, under the leadership of Aldo Moro, formed the first Italian government with the socialists, on November 23rd 1963. 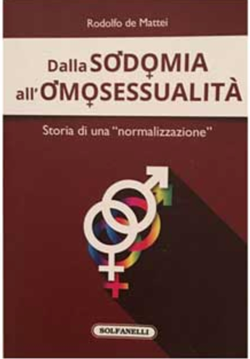 On at least two occasions, between 1963 and 1964, it was precisely the intervention of Pope Montini through some articles in the Osservatore Romano, that endorsed Moro’s political action. At the Council it was Paul VI who personally blocked the initiative of almost five hundred Council Fathers who had asked for the condemnation of Communism. On the international level, the Pope, just like his predecessor, sustained the so-called Ostpolitik, which reached out to the Communist regimes of Eastern Europe. One of the most illustrious victims of this policy was Cardinal József Mindszenty. After the rebellion in Hungary of 1956, the Cardinal had taken refuge in the American Embassy in Budapest and remained decidedly against any idea of an agreement with the Communist governments. When Paul VI asked him to renounce his title as Archbishop of Esztergom and Primate of Hungary, the Cardinal replied with a respectful but categorical refusal. Paul VI took on the responsibility of declaring the Primatial Archdioceses vacant, informing Cardinal Mindszenty of his removal as Archbishop on November 18th 1973. It was a scandal that made history. Three years later, on June 29th 1972, referring to the situation of the Church, Paul VI stated with equal clarity “of having the sensation that from some fissure the smoke of Satan has entered the Temple of God […]”. We thought that after the Council there would have been a day of sunshine for the history of the Church. Instead a day of clouds, storms, darkness, questing and uncertainties has come.” To surmount the crisis, the Pope followed the political strategy of condemning “opposite extremisms” which consisted in an attitude of indulgent benevolence for the positions of the progressives and severe sanctions against those, like French Archbishop, Marcel Lefebvre, who intended to remain faithful to the Tradition of the Church. Two events troubled the life of Paul VI deeply: the contestation that he suffered in the summer of 1968 and the death of Aldo Moro, ten years later. Paul VI did not share the position of Cardinal Suenens, who was anxious for the approval of the use of the contraceptive pill, and despite the contrary advice of the “experts” the Pope had appointed to study the problem, on July 25th 1968 he reaffirmed the condemnation of contraception with the encyclical Humanae Vitae. This ‘against-the-current’ document was met with violent protests led by theologians, bishops and entire Episcopal conferences, starting with the Belgian conference presided over by Cardinal Suenens. Paul VI felt betrayed by the Council Fathers closest to him and they in turn, considered him a ”traitor” pitting him against the utopia of the “good Pope” John XXIII. His suffering was such, that in the following ten years no encyclical was again promulgated by Paul VI. But he continued to follow Italian politics attentively, encouraging Aldo Moro, the friend of his youth, to achieve – after the opening up to the left – a historical compromise with the Communists. I was in Savigliano (Piedmont) at the villa of the philosopher Augusto Del Noce (1910-1989), with Giovanni Cantoni and Agostino Sanfratello, when the news reached us of Paul VI’s death. I remember that someone present blurted out ‘Deo gratias!’ In private, Augusto Del Noce, was a severe critic of Montini’s pontificate and hope was alive in us that with Paul’s death, the smoke of Satan which had penetrated the Temple of God had been dispersed. In the succeeding pontificates however, the windows through which the smoke had penetrated were only half-closed and now they are once again wide-open. The smoke of Satan has turned into a roaring-fire which is devastating the Church, like the fires from Greece to California which are raging in this scorching-hot summer. The Pope who died forty years ago, and for whom a ‘beyond-belief’ canonization is being declared, was one of those principally responsible for the roaring-fire that is raging today.